A Million Ways Home by Dianna Dorisi Winget is a nominee for the 2016-17 South Carolina Children’s Book Award. After Poppy Parker’s grandmother suffers a stroke, the girl is sent to live in the North Shore Children’s Center. Poppy hates it here (with good reason), and she’s willing to do just about anything to reunite with her grandmother…even run away. Poppy tries to make her way to the hospital to see Grandma Beth, but things quickly turn south. After a brief stop at a convenience store, Poppy becomes the sole witness to a horrible crime, an armed robbery and murder. The suspect knows her face and her name, so Poppy is placed under police protection, specifically in the home of Detective Trey Brannigan and his mother, Marti. It doesn’t take long for Poppy to feel safe in this temporary home. She likes her caregivers, and she enjoys helping Marti at the animal shelter. She even manages to make a couple of friends–one human and one canine. Lizzie, the human, is a girl with troubles of her own. Gunner, the canine, is a beautiful German Shepherd who isn’t all that different from Lizzie. Both of them need someone to love them and be patient with them, and that person is Poppy. Even with all these positives, though, Poppy longs for things to go back to the way they used to be. She wants her grandmother to get better. She wants to go back to their apartment and not have all these worries weighing on her. Surely, life can one day be normal again for Poppy and and her grandmother. Unfortunately, things aren’t so simple. There’s still the matter of a dangerous criminal on the loose and looking for Poppy. Also, Grandma Beth isn’t recovering like Poppy hoped she would. Things are looking bleak, and Poppy doesn’t know what to do. Will Poppy ever be able to return home? Will her grandmother get better? Will the police ever catch the guy putting Poppy in danger? And what will happen with Lizzie and Gunner? 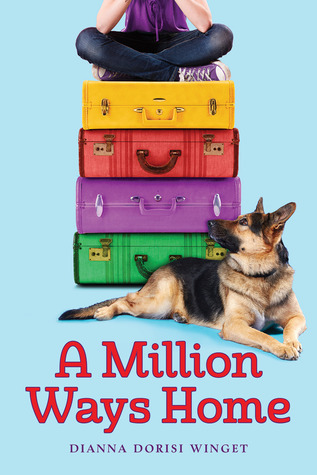 Learn how Poppy navigates through the waters of uncertainty, friendship, grief, and love to find her way home when you read A Million Ways Home by Dianna Dorisi Winget. 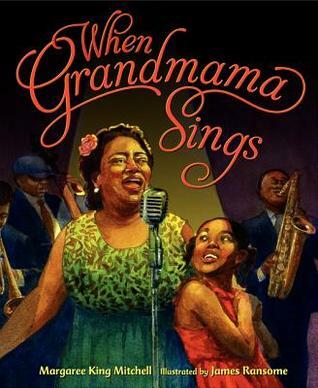 When Grandmama Sings, written by Margaree King Mitchell and illustrated by James E. Ransome, is a nominee for the 14-15 South Carolina Picture Book Award. Set against the backdrop of the racially-segregated South, When Grandmama Sings is a heart-warming story about persistence and hope. When eight-year-old Belle’s grandmother, Ivory Belle Coles, gets the opportunity to do a singing tour across the South, Belle begs to go along. Her parents agree to let Belle be a helper to her grandmother. Along the way, young Belle points out that black and white people are treated differently everywhere they go. Through it all, though, her grandmother never loses her spirit, her will, or her love of music. Music has the power to bring everyone, regardless of color, together. Belle’s grandmother taught her that going after dreams is important. It could be something as simple as learning to read or becoming a singer, but it could be something–like equality for all–with the power to change the world. This book is great for a simple yet powerful illustration of life in the segregated South. It could be used in elementary classrooms in units on Civil Rights. It could also be part of lessons on persistence and courage in the face of adversity. 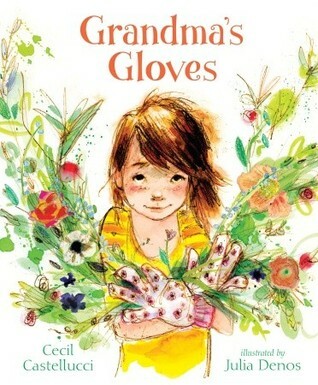 Grandma’s Gloves, written by Cecil Castellucci and illustrated by Julia Denos, was a nominee for the 2012-2013 South Carolina Picture Book Award. The young girl in this story loves spending time with her grandmother, especially in the garden. Grandma teaches her everything she knows about gardening. When Grandma becomes sick with Alzheimer’s disease (based on the context of the story), the girl points out that Grandma always remembers to feed and care for her plants. Eventually, Grandma passes away, and the girl is extremely saddened by the loss of one of the most important people in her world. She finds solace and a closeness with her grandmother’s memory in one of the things that she and her grandma shared–gardening. While I dread using this book for a read-aloud (I can already see myself breaking down in front of a bunch of 1st graders), I think this book deals with a topic that nearly all young people will have to face–the death of a loved one. Grandma’s Gloves demonstrates that it’s okay to be sad and that the memories of those lost can always be kept alive. When the two boys go looking for adventure, they find little boats made of Yoo-Hoo cartons traveling down the local creek. Each boat has a message. 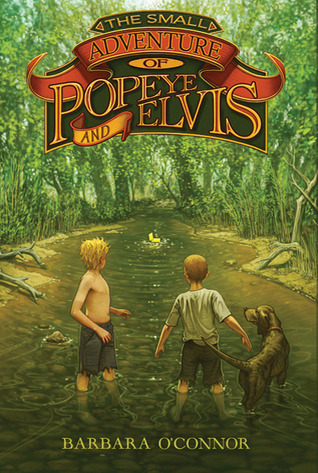 As Popeye and Elvis try to figure out who is sending the messages and what they mean, they learn a little about each other and the world around them. This is a fun, quick read that I think will appeal to all readers, but especially boys who would often rather roam outside than read a book. It gives them a sense of adventure without ever stepping outside. After a horrible car accident rips her family apart, Aubrey is left all alone. She takes care of herself and her new pet fish, Sammy, and they seem to be okay alone. At least for a little while. When Aubrey’s grandmother realizes that eleven-year-old Aubrey is basically living alone, she steps in, and Aubrey finds herself moving from her home in Virginia to Gram’s house in Vermont. Aubrey is not sure how she feels about this move and leaving her old life behind. She doesn’t want a new room, a new school, or even new memories that don’t include her family. How can Aubrey move on without her dad, her little sister Savannah, or her mom? With the help of Gram, her new best friend Bridget, and writing a few letters about her feelings, Aubrey may have found a way to continue living her life while coming to terms with what happened to her family. Even though she’s lost a lot, Aubrey realizes she doesn’t have to face the hard stuff alone. She still has love, friendship, and memories of her family to see her through. But will that be enough when she has to face the hardest decision of her life? 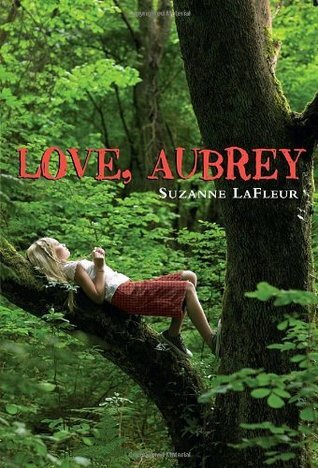 Read Love, Aubrey by Suzanne LaFleur to discover just how strong one girl can be. I truly loved this book. I cried at least once per chapter. Aubrey’s journey was absolutely heartbreaking, and I think my heart broke a little bit right along with her. Love, Aubrey is both devastating and heartwarming, and I think it will appeal to readers of all ages, especially those who’ve enjoyed such wonderful stories as Charlotte’s Web and Bridge to Terabithia. If you decide to read Love, Aubrey, here’s a little warning: Make sure you have a box of Kleenex handy. You’ll need it.